Why do so many North Korean defectors become Christians when they leave? Isn’t this like swapping one god for another? The biggest shock I encountered on defecting from North Korea was seeing a world which endorses diversity and multiculturalism. I would never have imagined being in a world that allows one to believe or do whatever he or she wants as long it is within the law, as I grew up in a under a state that was suppressive, distorted and fake – religion was no exception. Indeed, I was born and brought up in the only state in the world which enforces atheism nationwide and prohibits people from being aware of any other religious theory beyond the theory of evolution. In North Korea, simply knowing or even wanting to know something other than what is taught by the state can be a serious crime. And while we do have religious organizations such as the ‘Chosun Christian association’ or ‘Buddhist association,’ these organizations are just a form of propaganda and merely a means of pretending that we do have freedom of religion in North Korea. Living in Pyongyang I had never even known that there were other theories and studies and had never heard of the Biblical creation. To be frank, I didn’t know the meaning of Christianity, or that Buddha is another name for Shakyamuni, and I could not find any religious books other than those which said to worship the North Korean leader. I lacked any imagination of what God would be like. The concept of ‘God’ just brought mixed feelings of curiosity and fear of a mysterious and unknown world. I’m sure other North Koreans felt the same. So how did I become a Christian when I left North Korea? To be honest, I initially despised Christianity. The reason was simple. As I’ll explain, Christianity seemed very similar to North Korean propaganda. On top of that, I was more closed towards Christianity because I knew that our founding leader Kim Il Sung and his family had originally been believers. Next, I just couldn’t accept that God was supposed to love and care for everyone equally. My past did not allow me to believe in such a God. How many people have died and are dying in North Korea at this very moment? How on earth could anyone say that a God exists who loves everyone equally when little children cannot even fill their tiny stomachs, are ridden with disease and thrown out in the streets? For the sole reason that I was born 40 miles North of the border, I had to risk my life. Meanwhile a little puppy that is born 40 miles South of the border has all the advantages and benefits that most of us North Korean kids never had. Where is the evidence of God’s justice, when until the very last moment of their lives, North Korean dictators enjoy the power and pleasures of their dictatorship? If he is an almighty God, how can he just ignore the situation in North Korea and reject their people? 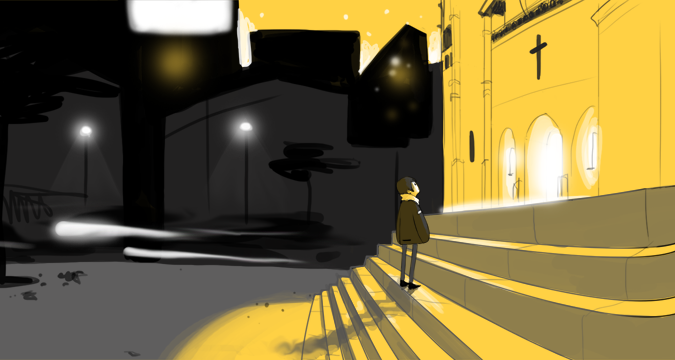 I threw countless questions at the church and no-one was able to satisfactorily give me the answers I wanted. Despite all the confusion I became a Christian, even though I still do not have all the answers. It is important to say though that Christianity can only be understood by experience and I am eventually feeling and understanding many things that I could not initially agree with. If the experience I felt through becoming a Christian had not been there, I wouldn’t have believed in any god or religion. In spite of my questions, I am now convinced of a God who existed before the world began – who is far greater than and cannot be fathomed by mere human knowledge or scientific explanation. And I believe that the one who created me and led me here was why I was given this opportunity to engage with all of you in this column. But enough of my personal story – what about other North Koreans? Once, Pyongyang used to be a city of rich Christianity often known as the ‘Jerusalem of the Orient’. There were hardly any shops open on a Sunday. However since the socialists (under the influence of the Soviet Union) took charge of administration at the start of the Korean War, religion in North Korea was utterly annihilated with extreme measures. Most Christians left for the South to save their religious freedom and those remaining in the north became underground Christians. But decades have since passed and the only religion existing now is Kim Il Sung-ism. 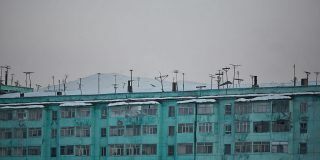 For this reason, although there are many Christian defectors, there are not many Christians in North Korea. In fact, it is impossible to live as a Christian in North Korea and at present almost every North Korean is officially ‘athiest’. They cannot utter a word about religion and if they do, the whole family and even friends are under threat of serious punishment. So how is it then that so many defectors become religious? Ever since the Christian movement arose, many pastors and missionaries went to China to reach Chinese and North Koreans, some actually helping North Koreans with basic subsistence matters. 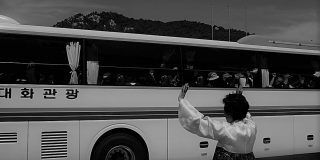 By sharing Christianity through Biblical teaching, they encouraged North Korean people to return to their country to be missionaries. In this way some North Koreans actually gave up defecting to a third country and returned to North Korea to give out Bibles. Other Christian defectors who were caught and repatriated to North Korea secretly kept their faith and shared it with their own family there. These people however, are a minority and the government is searching madly to crack down on them. But this doesn’t mean there is absolutely no religion at all. Humans are inherently weak beings and life’s worries, anxieties and expectations increase when life gets tough. Despite the fact that North Korea prohibits religion, I remember that many people in Pyongyang relied on horoscopes and fortune-tellers for comfort when the economic situation became dire. They sought answers related to their business, success, children and their marriage matters from a supernatural source. I suppose people have an inner instinct to believe in a supernatural being, despite having known nothing but materialistic atheism for several decades. People started believing these fortune tellers and would even re-schedule their wedding date if the fortune-teller told them to. Shamamism came to the forefront of North Korean religion. People began to set up secret fortune telling businesses which soon became popular by word of mouth. It was not only ordinary people that went to visit these fortune tellers, but also the rich and powerful who were uncertain about their future. I’m not sure they believed in God though. In a state of economic adversity the government was gradually losing control over its citizens and was forced to accept this reality. However, they remained hostile to Christianity, persistently repressing it. Those deported back from China can be punished by death if they have been influenced by Christianity in any way. 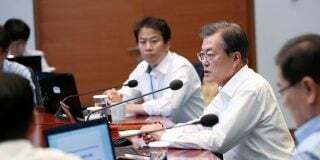 If it is revealed that they are Christians, the whole family is mercilessly killed in inhumane ways [Editors Note: Ji-min left Pyongyang in 2005, but since then penalties for Christians have reduced, especially if those caught have money to pay bribes]. But this is not a country that has had religious conflicts with Christianity for hundreds of years, so why did they allow shamanism to exist (under the carpet) but not Christianity? I guess most of you are unaware, but as I mentioned before, Kim Il Sung was once a Christian. In fact, he was brought up in a very devout Christian family. His father was a graduate from the most renowned Christian school in the peninsula and his mother was deaconess. In addition, his grandfather and brothers were also priests in Pyongyang. It’s ironic that a man who came from such a religious family would erase his past once becoming a socialist. But he was no socialist – he was no more than the starter of Kim Il Sung-ism. He formed the ‘Ten Principles for the Establishment of the One-Ideology System’ which resembled Moses’ Ten Commandments – forcefully instilling it into us and compelling us to obey. Once you look into the Ten Principles, you will notice Kim Il Sung took his political ideas from the Bible. Kim Il Sung also called himself ‘the sun’ and his son the ‘Shining Star of Paekdu Mountain’. They say if you commit your life to serving Kim Il Sung and his son, though your physical body may perish you will gain immortality in the political life. 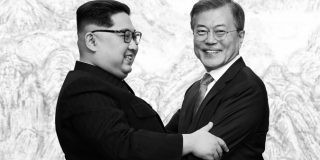 In purporting that he and his son were gods and therefore rightful leaders, Kim started creating a country of false religion that in no way adheres to socialist values. In North Korea, Marx’s and Lenin’s books are banned. I leave it to your assumptions as to why. The core of Christianity is based around repentance, being forgiven and saved by God. Repentance is only confessed to God and forgiveness determined by him. And in North Korea? Every Saturday, North Koreans have to confess their wrongdoings and seek for forgiveness of the leader. It is as if North Korean’s political system has taken its stance somewhere between absolute monarchy and cultish fanaticism. This is why Christianity is most oppressed and cannot coexist in harmony with Kim Il Sung’s regime, and why shamanism is less of a threat. Christians do not acknowledge any other God but their own – they cannot serve both Kim Il Sung and their God. Thus, Christianity is seen as a considerable threat to their power. To conclude, I wish for all of you to experience the grace of God as I have and I pray that North Korea will soon become a country where there is true freedom of religion. Got a question for Ji Min? Email it to [email protected] with your name and city. We’ll be publishing the best ones. Editing and translation by NK News London. Subscribe to read the remaining 1846 words of this article.